The Italian GP is one of the most attractive venues in the calendar. There may be circuits that are newer and more technologically advanced, but Monza possesses passion, colour and enthusiasm in abundance. The circuit is set within Monza Park which is a wonderful setting and the weather is invariably kind. 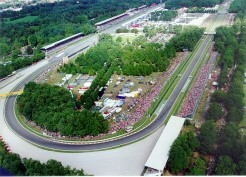 It is a quick circuit, a circuit full of history and a circuit with atmosphere - in a word, magic. Even without F1, this part of Italy is wonderful. Milan is an exciting city destination in its' own right and the lakes provide a wonderfully relaxing break. Throw in some good weather, fine cuisine and sport or culture, then you have the makings of a superb weekend. We have been looking after corporate clients, VIP guests and groups for many years and our attention to detail is second to none. Monza is a must-see Grand Prix and your base may be the sophisticated city of Milan, the historically rich town of Bergamo or the magnificent Italian Lakes. 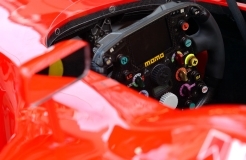 We know the Monza area superbly well and are therefore able to advise on the wide array of possibilities. We are able to provide a tour to match any requirements. Please call us for a bespoke quote. A hotel of great tradition, the meticulously restored Hotel Principe Di Savoia Milan is one of Europe's most highly regarded hotels. 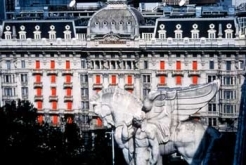 Five-star comfort and impeccable service continue a long tradition of prestige and hospitality. The Hotel Principe di Savoia is a member of the Dorchester Group Hotels and is located close to one of the most fashionable shopping areas in the world. Each of the 404 guest rooms and suites are furnished in elegant 19th century Lombard style. Technology and efficiency complement the charm of this world-class establishment, and the result is five-star service, total comfort and the exquisite quality of its house cuisine. The 4 star Le Meridien Gallia Milan opened in 1932 and has an impressive art nouveau façade as befitting its' reputation as one of the best in Milan. All the guest rooms have individual air conditioning / heating, ISDN phone lines, satellite television, safe-deposit box, PC / Modem hook-up, in-house movies and mini-bar. It is centrally located close to the central station in the heart of the city's renowned Piazza Duca d'Aosta with easy access to many tourist spots. 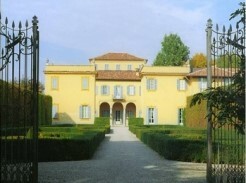 This sumptuous Villa is an important architectural complex just outside Milan. The accommodation (suites and standard rooms) make this residence the ideal place for those who wish to enjoy absolute comfort along with an authentic feeling of the past. The private halls host an important keyboard collection, dating back to the XVII century and are played regularly in concerts. 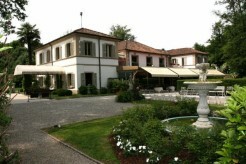 It is only 9km from the Monza circuit and is offered on a bed and breakfast basis. There are two well thought of restaurants within a 5-10 minute walk. The rooms and suites are different each from the other and are decorated with antique furniture and some with musical instruments. These can be used and played as if one was in one's own home. Breakfast is served in the splendid breakfast room which is found overlooking the garden. We recognise that guests may wish the flexibility of travelling from any airport on a particular day and we are happy to advise on this matter in addition to offering tailor-made options. We also organise private jets for the Grand Prix weekend or simply for the day. Please call reservations. We can organise any manner of group airport and / or circuit transfers. This may be by Mercedes with uniformed driver, executive coach, helicopter or VIP branded minibus. The weather in Monza is invariably wonderful in September and, as a hospitality facility, we can offer a former hunting lodge of the King of Italy set within superb gardens to enjoy the autumnal sunshine. The facility is easily accessible and we can offer private rooms for smaller groups. Packages are available for Saturday & Sunday or just Sunday; the lodge also provides a superb venue for evening functions. The service is thoroughly professional and the cusine and accompagnying wines are second to none. We recommend using a covered Parabolic 22 grandstand ticket; this grandstand is 900 metres from the hospitality venue. However, if you require other grandstands, we would be able to offer optional shuttles. Weekend Guide Price: £649 per person or £415 without Grandstand. Sunday Guide Price: £449 per person or £225 without Grandstand. This light and airy air-conditioned restaurant is located under the Central Grandstand in front of the start / finish line and close to the Pit Lane. The area is elegantly furnished with a welcome desk, spacious lounge, covered veranda and a restaurant area. There are also numerous TV monitors within the facility. Guests are able to view from a reserved seat in the Centrale Grandstand. This is accessed from external stairs in the facility. The weekend price includes an open bar, lunch on each day and a VIP car parking pass. 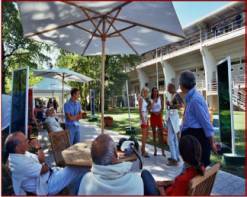 The Parabolica hospitality area is located on the famous Parabolica curve, situated under the Parabolic Grandstand. The relaxing facility has a restaurant area, bar areas, rest rooms, a welcome desk and a view of the giant screen. There is also an outdoor garden with furniture. A reserved Parabolic Grandstand ticket is included in the package. The weekend price includes an open bar, lunch on each day and a VIP car parking pass. The traffic in Monza used to be manic and the helicopter was the only sensible way in for those who could afford it. This is not so much the case these days but nevertheless, the Grand Prix helicopter shuttle is still a big operation and for many, it is still the way to travel. Flights depart from a number of different areas around Monza and land in the very centre of the circuit.